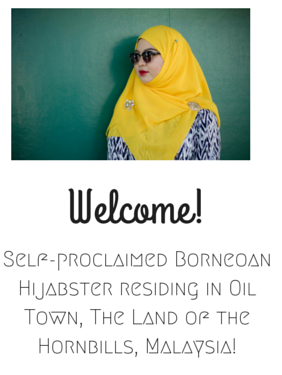 Fuhh. This is the first time I will be talking about a nail product! 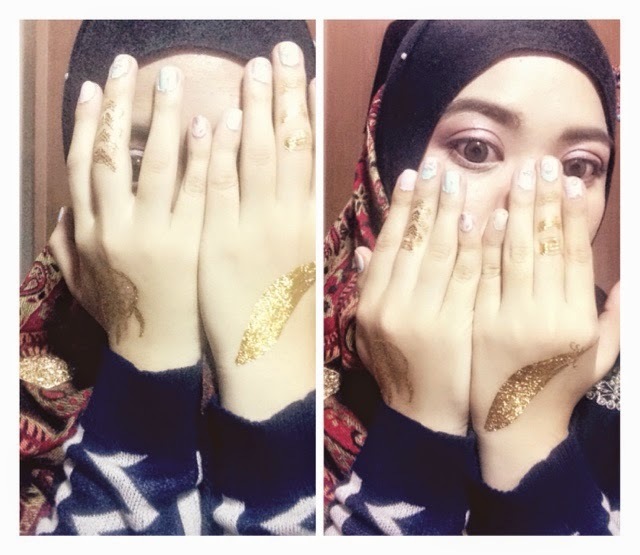 Most of the time I do not wear nail polish and such, unless I am on my periods haha - during the time I cannot perform prayers. 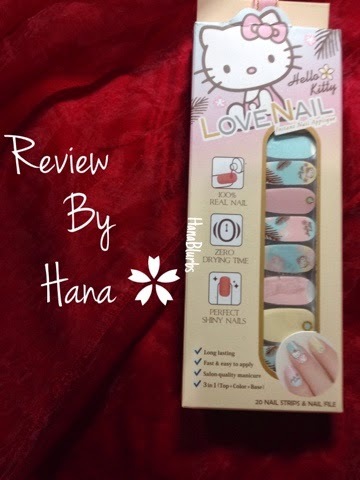 Love Nail Instant Nail Applique! 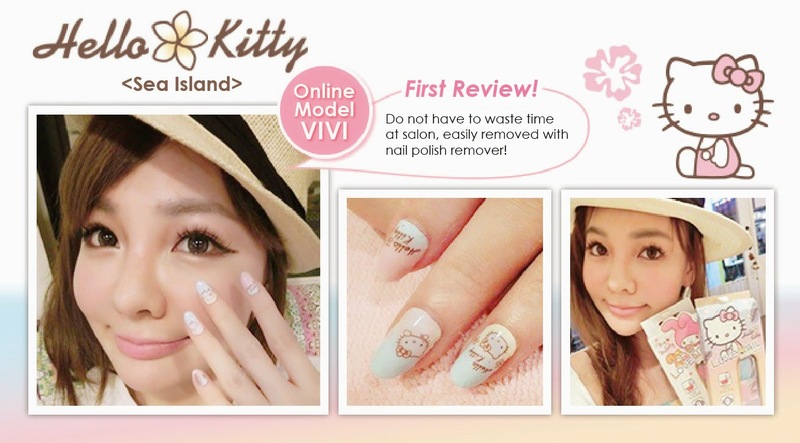 There are 9 designs available and I've gotten myself the limited edition Hello Kitty design in Sea Island! 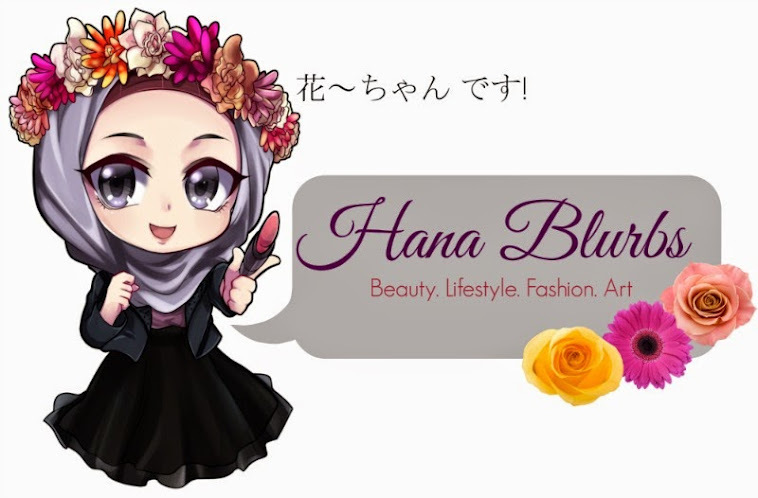 Hontouni kawaii desuuuu! :D Loving the rest of the designs as well! Fret not, it can be adjusted to different shapes and sizes of nails. It is also certified by SGS, so it is safe for our nails as it is 100% made from nail polish, which also contains numerous invisible pores so that the nails could breathe, along with jojoba to protect the nails from yellowing. 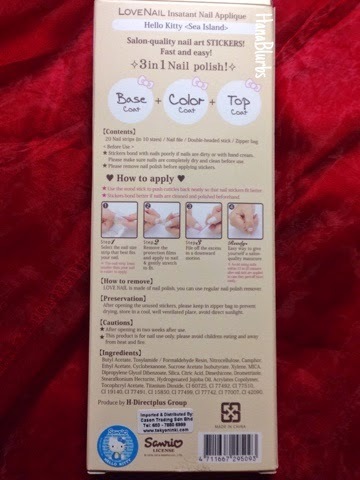 Did I mention it is a 3 in 1 nail polish that consists of the base coat, colour coat and top coat? As you can see in the photos, the nail strips and the kits are packed in separate zipper bag respectively. 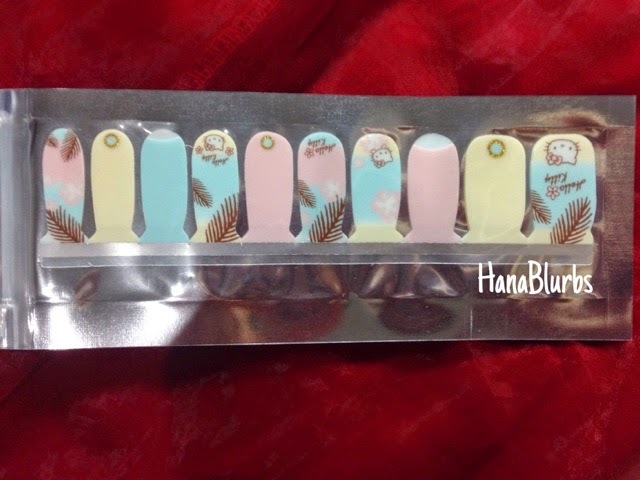 The reason why it's packed in zipper bags so to avoid the nail strips to dry and harden :) For the kits, it consists of two items - nail file and double-headed wooden stick. 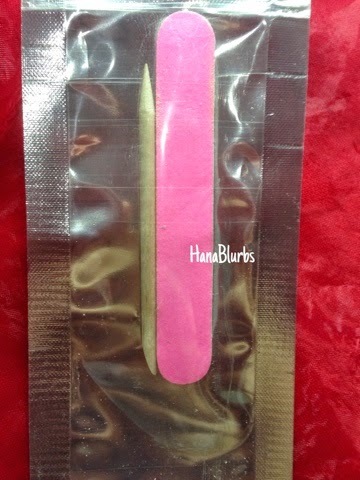 Nail file: dual-sided, helps to file off the excess nail strips. Wait, what about my own review?? Being a super noob newbie with this thing, I had a hard time applying them. Hahaha. 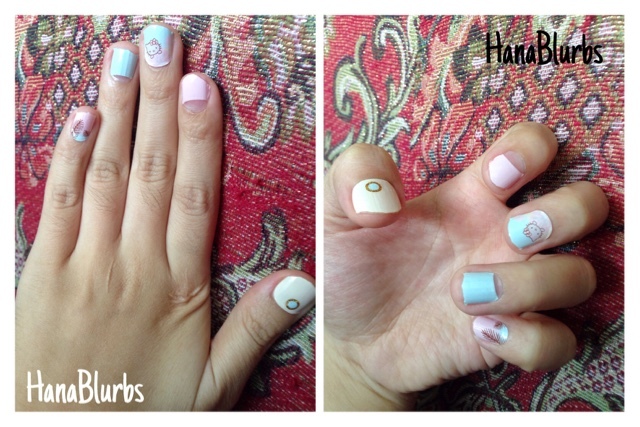 So forgive me if they look ugly on my nails :x bwahaha. **Disclaimer: Although the product is sponsored for review purposes, it is 100% my own thoughts and is not affected in any way!